The quintessential Father's Day card depicts Dad snoozing in a hammock while his adoring family waits on him with a cold beverage and newspaper while pitching in with chores like mowing the lawn. A scene from the past, perhaps, but the image of a hammock under a big tree still conjures up daydreams of summer afternoons spent idyllically in your own lush, bird-chirping version of Eden. 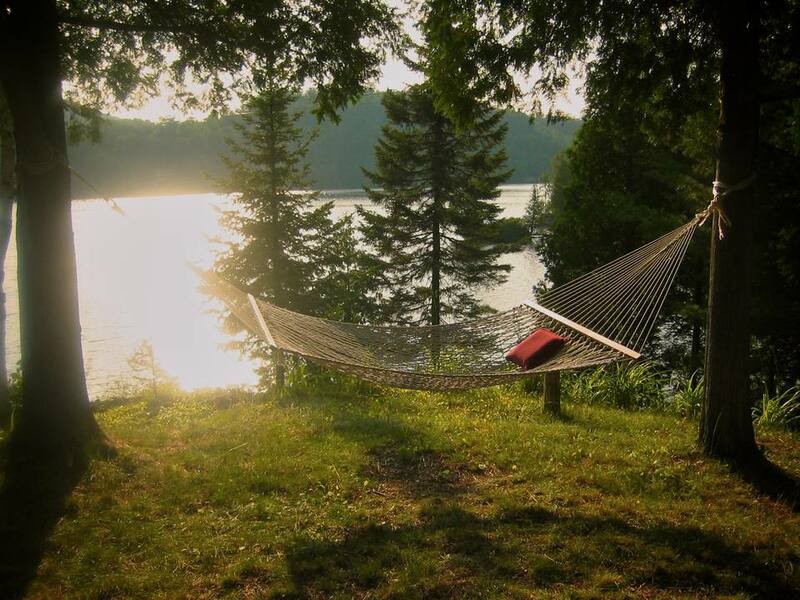 There are many great reasons for owning and relaxing in a hammock. Swiss neuroscientists have proven that hammocks promote deep, restful sleep, specifically for short periods of time. If you really want a hammock, what could you possibly need to think about before ordering one online or adding it to the cart during your next trip to the local big-box retailer? Yes, even hammocks have a history. That outdoor swinging lounge you're thinking of buying was reportedly invented by the Athenian General Alcibiades, a student of the Greek philosopher Socrates, in 415 B.C. Somehow, in between the Sicilian expedition and the battles of Abydos and Cyzicus, Alcibiades found time to envision and create a hammock. And you fancied yourself a multitasker? The word, hammock, along with canoe, barbecue, tobacco hurricane, and Cuba come from the Taino Indian culture, who lived among the Arawak tribes of the Orinoco Delta. The Taino gradually spread from what is now Venezuela across the Antilles beginning around 400 B.C. and interacted with natives already living in the Caribbean. The Taino were self-sufficient and settled on Hispaniola in what is now Haiti and the Dominican Republic, along with Jamaica, eastern Cuba, Puerto Rico, the Virgin Islands and the Bahamas. Besides inventing the hammock, the Taino cultivated yuca, sweet potatoes, maize, beans, and other crops. Their culture flourished, until a European explorer set on proving the world is round, changed everything -- drastically. Scholars believe that there may have been more than 3 million Taino on Hispaniola when Christopher Columbus stopped in what is now the Bahamas during his expedition in 1492. "They will give all that they do possess for anything that is given to them, exchanging things even for bits of broken crockery," Columbus wrote of the natives. Noting that the Taino were good looking and well-built, he believed they would make ideal servants. Within two years, Columbus established the first American colony at La Isabela on the north coast. Spaniards settled in Taino villages, removed men from their work in gold mines and plantations, and prevented them from growing the crops that had sustained the culture for centuries. Just 20 years later, the New World had obliterated the Old World, with intermarriage among Spaniards and African slaves with Taino natives, mostly women. An estimated 3 million -- possibly 85 percent of the Taino population -- had vanished by the early 1500s, due to marriage and disease (smallpox). Before Columbus shook things up, hammocks were used as above-ground beds by the Taino and later in Mexico and Central and South America. Woven from a variety of natural, local materials, including bark, Sisal and palm fronds, these sling beds were practical and probably life-saving ways to get the inhabitants of jungles off the damp ground, away from water and potentially disease-carrying insects and snakes. Venezuelan, or jungle hammocks, are usually made to repel insects and rain and are used as hanging, breathable tent-like structures. Mexico's hammocks originate from the Caribbean and were later perfected in the Yucatan region, where the sling-beds evolved into an important -- even symbolic -- way of life. Often referred to as hammocks, they aren't actually believed to originate from the Mayans. Hammocks are still popular in the Yucatan. As a swinging seabed, hammocks were a sensible way for sailors to sleep below deck. Usually 6 feet in length with 14 to 20 inches between each bed, hammocks on boats are made of canvas and gathered together at each end with clews, grommets, and knittles. ** In the late 19th century, the popularity of camping and other outdoor activities necessitated some sort of outdoor bed, especially for those who didn't fancy lying on dirt or rocks. The concept is fairly simple: a woven "net" with extensions and loops at the end with which to tie or fasten the hammock between two trees. Lightweight and portable, they could be rolled up and slung on your back or stored with the rest of the camping gear. Location: where is it going to go? Hammocks are usually around 6 feet, with extra length on either end for ropes, loops. The classic rope hammock at Frontgate measures 156 inches long, which is 13 feet in length (396.24 centimeters). Anchors: are there two trees in your yard spaced about 15 feet or so apart? If you don't have trees on your property, can you attach it to something else that is sturdy, like an existing pole? If you don't have an anchor, you may want to buy a hammock stand, which will take up extra room (15 feet in length by about 4 feet wide) and cost additional money -- usually more than the hammock itself. Shade, as in overhead. Unless you plan to bake in the sun, will your hammock be situated under trees? If not, will it go on a deck, under a shade sail or some sort of outdoor roof or umbrella? Weight limit: usually 450 pounds. That probably means you, Uncle Larry, Grandma and your next-door neighbor's cousin's child won't be able to lie on it all at one time. Good thing. Where to store the hammock stand during the off-season. Like, a basement or a garage. Otherwise, it will take up lots of room in your den. Hammock chair or monkey chair: offers the traditional hammock's cocoon-like comfort while allowing you to sit upright -- no deep sleeping here. Is There a Leak in My Yard? When Is the Best Time to Pour a Concrete Patio?